Welcome to Replacement Remotes .com – the Internet’s largest super-source for universal remote control units from a wide range of manufacturers. Universal remote control units are the nerve center of your electronic entertainment center, and you already know how much functionality and convenience a universal remote provides for the savvy user. But there is a downside to packing all the utility and usefulness into a tiny handheld device – if you lose or damage your universal remote unit, it’s a nightmare! Getting a new one from your dealer or from the manufacturer can take weeks or months, assuming that your particular unit is still supported by the factory. Don’t deal with the headache – if you purchase a new universal remote for your electronic appliances right here on Replacement Remotes .com, you’ll get it in days instead of months, allowing you to get back to enjoying your electronics in record time! All of our universal remote control units from each of the manufacturers featured here on our web site are completely new factory originals that are up to spec in every area. With universal remotes from Replacement Remotes .com, your original functionality will be restored and supported entirely, and you won’t experience any issues or problems with compatibility. 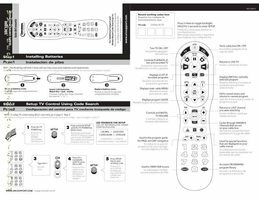 Even better, we offer all our shoppers a full and complete instructional manual for any universal remote purchased from our web site, just in case you need to reprogram your remote or reset it back to factory defaults. 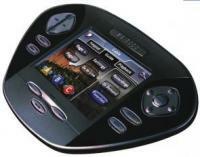 Should you have any issues tracking down the specific make or model of universal remote control you need for your entertainment center, our useful and easy to use universal remote control search utility allows you to query our database directly and search out the specific universal remote control unit you need. To access our remote search program, click on the “find your remote” button on the left. You’ll need to fill out a quick form that provides us with a few details on the kind of universal remote you need, and you’ll need to provide us with your name, phone number, and email address so we can get back in touch with you when we find the product you need. You’ll also be provided with an open field that allows you to ask any specific questions you might have about our universal remote controls, and one of our technicians will be back in touch with you shortly. If you prefer to repair your universal remote control rather than buy a brand new one, we can do that! This is a great option for universal remote controls that are no longer supported by the factory or dealer where they were originally made or purchased. Our universal remote repairs are complete within seven business days of the repair order, so repairs are almost as fast as purchases! To repair your universal remote, click on the “need it fixed” link to the left. Replacement Remotes .com also offers all our users with direct access to our huge list of original instruction manuals for all our universal remote control products.